When it comes to ensuring the coating will bond properly to the pipe wall, surface preparation is the most critical factor. The in-situ coating process involves two separate methods of cleaning the pipe wall: abrasive blasting and chemical cleaning. Both methods are adequate for obtaining the proper surface preparation. The abrasive blasting procedure will produce a NACE 1, white metal surface and is typically utilized on newly-installed pipelines. Chemical cleaning will produce a minimum of a NACE 2, near-white metal surface and is used for rehabilitation of existing pipelines. The coating is designed to effectively adhere to either surface. However, over the years, the bulk of the work has been credited to chemical cleaning. Internal Pipeline Solutions is equipped with portable boilers and heat exchangers that can be utilized to improve the effectiveness of any cleaning process.  IPS uses Alkaline/Solvent wash for hydrocarbon sludge removal from process piping, and Acid/Chelant treatment for scale build-up inside the pipeline. IPS employees are safety-minded as well as OQ Trained. Commissioning and decommissioning services include hydrostatic and pneumatic testing, dehydration, drying to negative dew points, cleaning, inventorying, de-inventorying, nitrogen purging, pipeline abandonment, and water treatment. IPS’ utilizes a multi-stage system that consists of both mechanical and chemical cleaning. Prior to coating, IPS will determine that the proper level of cleanliness has been achieved.